This article is stuffed full with Chihuahua terrier mix info for anyone thinking of bringing home one of these pint-sized hybrids. And there’s a lot to cover, so let’s dive right in! What is a Chihuahua terrier mix? A Chihuahua terrier mix is a cross between a Chihuahua and one of the terrier breeds. Chihuahuas are the small dog with a big reputation, first bred for companionship in Mexico and now popular all over the world. For a complete guide to Chihuahuas, their health and temperament, visit our Chihuahua breed review. Terriers are a group of breeds with working roots, hunting game or vermin. You can read more about the history and diversity of the terrier group in our guide to dog breed groups. There’s no such thing as a generic Chihuahua terrier dog – part of deciding to get a Chihuahua cross terrier is working out which terrier breed you want to be included, and why you think the result will be a better than a purebred Chihuahua or terrier of that breed. Furthermore, some terriers also come in recognized miniature sizes now, with their own breed standard and “ideal” disposition. But where Chihuahua terrier crosses are concerned, even so-called designer dog registries don’t seem to be keeping track of which size terrier is used. Be sure to ask your breeder, and make sure you understand the implications. Chihuahuas have been riding high in the dog breed popularity stakes for a long time. Meanwhile, some terriers are better known than others, and some have better reputations as family pets. With all these terrier breeds to pick from, is it possible to make general predictions about a Chihuahua terrier’s temperament? A Chihuahua terrier’s temperament depends on upon the personality of their parents, and how well they are socialized and taught to behave as young dogs. When a Chihuahua and a terrier mate, their puppies could inherit all the virtues of their parents, or all the vices. Their Chihuahua and terrier traits could complement one another, or they could clash. In a minute we’ll see more precisely what that could mean for different Chihuahua x terrier combinations. 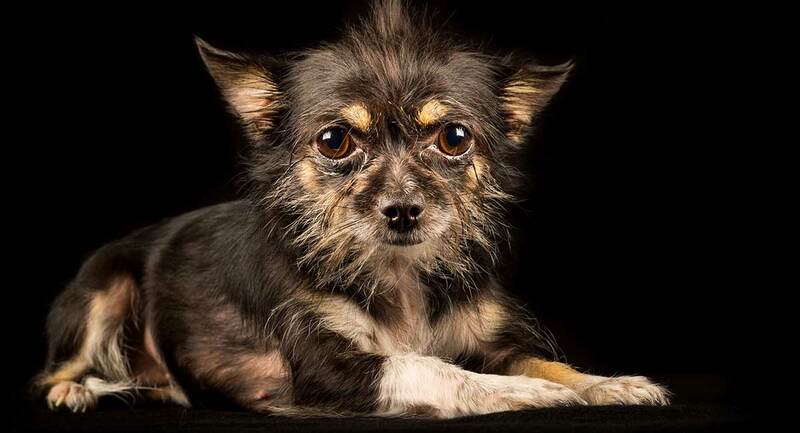 For many pedigree dogs, including Chihuahuas and terrier breeds, inbreeding has increased the prevalence of inheritable health problems in their gene pool. When choosing a Chihuahua x terrier puppy, you’ll need to consider all the health conditions linked to the Chihuahua breed, and those affecting the relevant terrier breed. 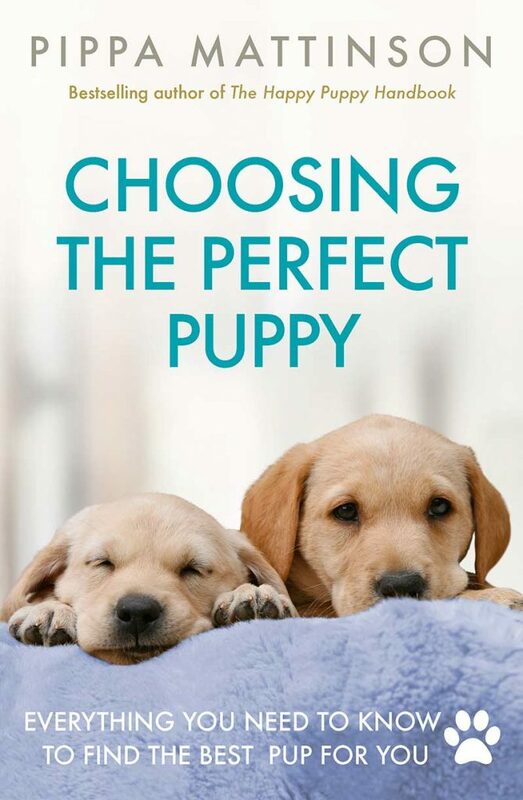 If they are different, the puppy might receive protection against them by being a crossbreed. But if there’s a condition known to affect both Chihuahuas and your puppy’s terrier lineage, then you’ll need to be extra vigilant about checking both your puppy’s parents have been screened for that problem. There’s potentially a lot of information to take in, and the following guide will help you pick out the concerns most relevant to you. There are also health issues facing specific popular Chihuahua terrier mixes, and we’ll deal with them separately. Luxating patella is the medical term to describe a kneecap slipping in and out of its joint because the top of the thigh bone is not properly formed. This can cause lameness and arthritis, and might ultimately require surgery to fix. 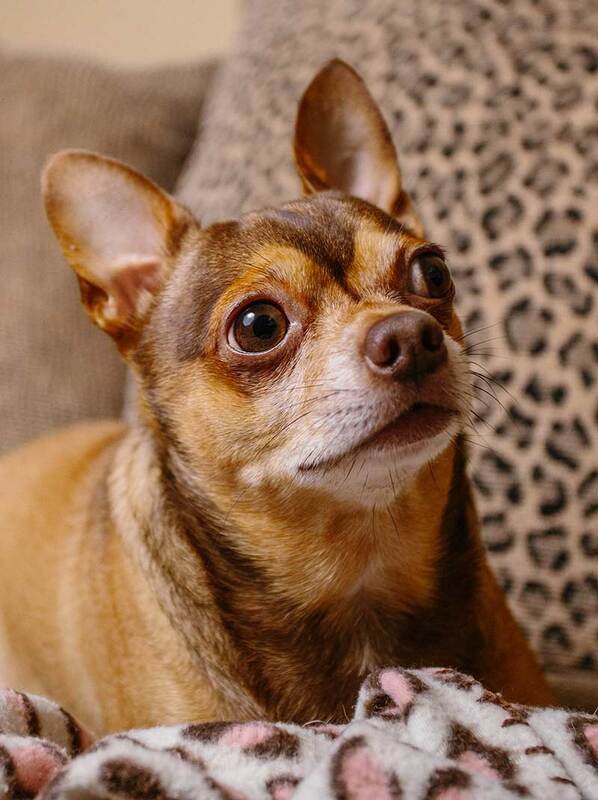 It’s an issue for Chihuahuas and all breeds of terrier, so both parents should have a document to confirm their knees have been recently examined by a vet and found clear of problems. Hydrocephalus is a build up of cerebrospinal fluid around the brain. Chihuahuas and their puppies are particularly prone to hereditary hydrocephalus, which usually becomes apparent soon after birth, but can take several months to manifest. Treatment for hydrocephalus depends on the severity of the symptoms, and varies from outpatient treatment with medicines, to emergency surgery and a long stay at the vet. Purebred dogs in general are more prone to heart disease than their mongrel counterparts, and Chihuahuas in particular have and increased risk of being born with structural heart defects. Any Chihuahua being considered for breeding should be examined for symptoms of heart defects before the mating goes ahead, as should Rat terriers and Bull terriers. Tracheal collapse is a progressive disease where the cartilaginous rings which support a dog’s windpipe begin to degenerate. Tracheal collapse is most common in middle aged, small breed dogs, including Chihuahuas. The causes of tracheal collapse are complicated and not fully understood, but they are likely to include a genetic component, which means puppies of Chihuahuas are at risk too. Always ask your breeder if there is any history of tracheal collapse in the Chihuahua side of a puppy’s family tree. Atopy describes an inherited tendency to suffer immunological problems such as allergies, asthma and eczema. These can be a problem for puppies of Chihuahuas, Fox terriers and Yorkshire terriers, and these types of problems are often notoriously difficult to manage. Ask you breeder about any history of these conditions in their puppies’ family tree. Legg-Perthes disease is a hereditary condition where the top of the thigh bone doesn’t develop correctly at the hip joint. This leads to arthritis and lameness in the joint, and usually requires surgery to treat. It’s common among Chihuahuas and many terrier breeds, but there’s currently no way to screen for it. 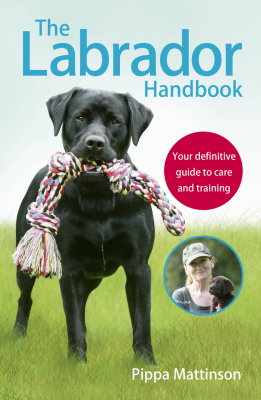 Responsible breeders will not breed from a dog with Legg-Perthes disease. Hereditary lens luxation – when the lens in a dog’s eye comes loose from the fibers which hold it in place – is a common problem of terrier breeds. When it occurs it is very painful, and prompt surgery is necessary to mend it. DNA testing for the genes which cause lens luxation is available, and terriers should be tested for faulty gene before they are allowed to breed. And if you’re still with me, next we’ll start looking at some of the most popular Chihuahua terrier mixes. Rat terriers are the all-American small working dog. Originally bred for hunting vermin and small game, their friendly nature and eagerness to please easily earned them a place in our homes as companion pets too. The Rat Terrier Club of America is a great source for more information about this plucky new pedigree. Rat terriers are exuberant and energetic pets, and they still possess the stamina which made them sought after working dogs. Even if their Chihuahua inheritance means a Rat-Cha doesn’t need the same amount of physical exercise, expect them to need stacks of mental stimulation. Rat terriers are typically more confident and easier to socialize than Chihuahuas, making them better pets for households with with children. However there’s no guarantee whether a Rat-Cha puppy will inherit this quality or not. Rat terriers’ compact frame and refined good looks draw from scores of other pedigrees – in fact their complicated family tree meant that until 2013 they were considered a “type” rather than a breed. They are slightly larger than Chihuahuas – the smallest Rat terrier is about the size of the largest Chihuahua – but their proportions and shape are remarkably similar. For this reason, their puppies pretty much look as you’d expect: petite and smart, with large round eyes and outsized ears. Overall, they might tend more towards looking like a Chihuahua, or more like a Rat terrier, and often you can even see both extremes in one litter. Rat Terrier Chihuahua mix health information. Chihuahua and Rat terriers should both be screened for heart disease, patellar luxation, and Legg-Perthes disease before they breed. In addition, Rat terriers are particularly susceptible to hip dysplasia – weakness in the hip joints caused by poorly developed bones. Your breeder should be happy to provide hip scores for a puppy’s Rat terrier parent, and our guide to hip scores will help you understand them. Jack Russell terriers owe their existence (and their name) to Reverend John Russell, a British fox hunting enthusiast in the 19th century who wanted the perfect dog to drive foxes from their burrows. Like Rat terriers, Jack Russell terriers were considered a type rather than a breed until just recently. Whilst they have a long history in Britain, Jack Russell terriers only didn’t gain much of a following in the US until the 1970s, and they’re still waiting for recognition from the American breed registries. True to their origins, Jack Russell terriers still have a strong drive to chase prey and dig for quarry. Their single-mindedness, combined with the fact they never seem to get tired, means that training them is not for the faint-hearted or short of patience. It’s hard to imagine how mixing these qualities with a highly strung Chihuahua can end well. But every Chihuahua and Jack Russell terrier is unique, and when the right two meet, their puppies could be a perfect blend of the Chihuahua’s charm and the Jack Russell’s hearty robustness. To stand the best chance of this, insist on meeting both parents before agreeing to take on a puppy. Like the Rat terrier, Jack Russell terriers are one size up from a Chihuahua. So their offspring are likely be a bit larger than your average Chihuahua, and a bit smaller than your average Jack Russell. Like Chihuahuas, which can have long or short hair, Jack Russell terriers have more than one type of coat: smooth, broken (some longer hairs among the short) and rough (lots of longer hairs). This can make for some unusual coats on Jack Chi puppies. Both Jack Russell terriers and Chihuahua must be tested for luxating patellas and Legg-Perthes disease before breeding. Jack Russell terriers are also prone to Von Willebrand’s disease (vWD) and portosystemic shunt. VWD is a deficiency of platelets in the blood which are vital to clotting. Dogs with vWD are prone to nosebleeds and bleeding gums, and bleed excessively if they’re cut, bitten or scratched. There is a readily available test to find out if a breeding Jack Russell carries the vWD gene. Portosystemic shunt is a malfunction within the circulatory system, where blood bypasses the liver instead of processing through it. Portosystemic shunt can be inherited or acquired during a dog’s lifetime. Prevalence of the condition among Jack Russell terriers implies they have a hereditary risk of it, but as yet there is no test for identifying carriers. Fox terriers are a very old English breed, and the smooth- and wire-haired varieties were among the first breeds to be registered by the AKC after its foundation. More recently, the Toy Fox terrier was first registered in 2003, and it’s the Chihuahua and Toy Fox terrier mix which has gained popularity as Taco Terriers. Fox terriers love to be part of a family, and like Chihuahuas the Toy Fox terrier tends to attach itself devotedly to one special person. Fox terriers are bright and energetic, so a Fox terrier Chihuahua mix is not for you if you’re looking for a low-energy dog. Fox terriers come in three recognized strains, each with their quirks and foibles, so meeting them is the only really way to find out what kind of personality they’re going to pass on to their offspring. Toy Fox terriers weigh roughly the same as Chihuahuas, so Taco Terriers really are dinky. They usually have short, single coats, which means that like Chihuahuas, they’re not fans of the cold. Honestly, if you’ve looked at photos of a Rat-Cha, a Jack Chi and then a Taco terrier, you’re going to struggle to remember the differences by now. Besides the conditions already discussed, Fox terrier Chihuahua mix puppies are vulnerable to von Willebrands Disease, and eye problems such as cataracts and glaucoma. These eye conditions are uncommonly frequent among Fox terriers, so they should have a full eye exam before they are used for breeding. Taco terriers are also vulnerable to injury purely through being so very small, and will need protection from bigger dogs and crowded places. Chihuahua Yorkshire Terrier mix pups, a.k.a. Chorkies, are the last word in tiny adorableness. We also have more on Yorkshire Terriers, and an in depth look at Chorkies on this site, but read on for a potted comparison with other Chihuahua cross terrier breeds. Yorkies are so ornamental and behave in such a regal fashion it’s hard to believe they were once working dogs. But sure enough they were originally bred to catch rats in clothing mills, and they still carry that strong work ethic with them today – a happy Chorkie is one with plenty to do. Like Chihuahuas, Yorkshire terriers rarely settle well in homes with small children, so Yorkshire Terrier Chihuahua mix pups are best suited to adult households. The Yorkie is another tiny dog, so Chorkies rarely weigh more than seven pounds. 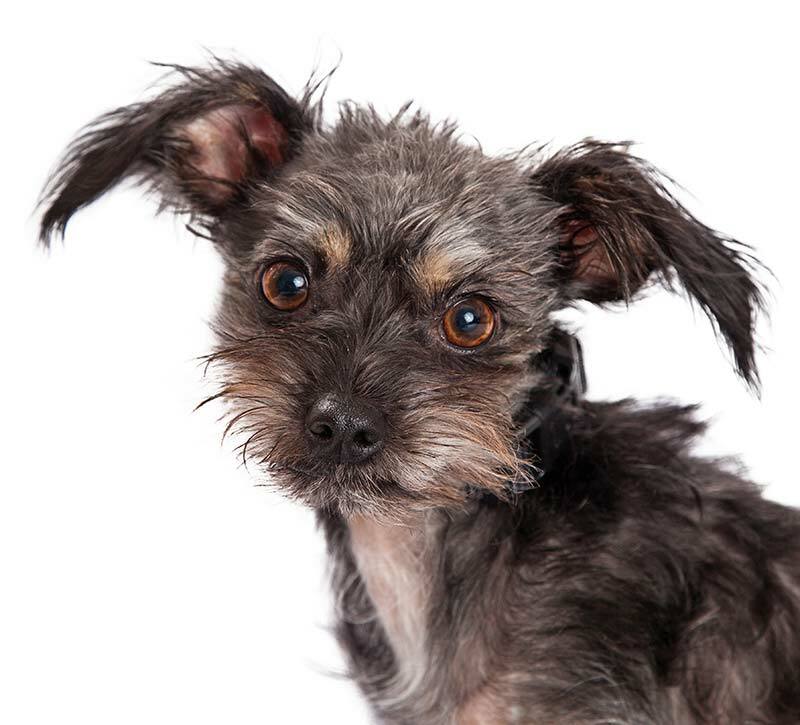 All Yorkshire terrier Chihuahua mix puppies have long hair which needs grooming every day. The exact color and thickness of their coat will depend on the appearance of their Chihuahua parent though. Some Yorkshire terrier Chihuahua mix dogs borrow strongly from their Yorkie side, and other borrow strongly from their Chihuahua side. You can even see puppies from both extremes in the same litter, but as with any first generation cross, there’s no sure fire way to predict a Chorkie’s features until they’re grown up. Chihuahuas and Yorkshire terriers are both fragile due to their tiny size, and like their parents, Chorkies need to be protected in crowded places and around other dogs. Yorkshire terriers and Chihuahuas are both prone to multiple breed-specific health problems. It’s vital to make sure both of a Chorkie puppy’s parents have a superb bill of health, to protect them from receiving a double whammy of medical complaints from both sides of the family tree. Besides the conditions dealt with in our general health section, Yorkshire terriers are susceptible to portosystemic shunt (like the Jack Russell), diabetes, dry eye, Chiari malformations and syringomyelia. Dry eye occurs, unsurprisingly enough, when a dog’s eyes stop producing enough tears. This leads to painful friction when they blink, and makes the eye vulnerable to infections like pink-eye. Dry eye can be managed with eye drops, but not cured. Chiari malformations are growth defects in the skull, which lead to syringomyelia: compression of the brain which impedes the flow of cerebrospinal fluid. It is a complex combination of conditions, and at present there is no cure. Bull terriers were originally bred from old breeds of bull dog and terrier in the early 19th century, and used for fighting. From unsavory beginnings they’ve made a successful transition into popular companion dogs, and these days a separate Miniature Bull terrier breed is recognized in addition to the standard Bull terrier. Bullhuahuas are the lowest profile of the Chihuahua terrier dog crossbreeds we’ve looked at in this article. This means it’s even harder to make predictions about Bull terrier Chihuahua mix puppies. Even the smallest Miniature Bull terrier is nearly twice the size of the biggest Chihuahua, which perhaps goes some way to explaining why it’s a less common crossbreed. Bull terriers and Chihuahuas couldn’t look more different if they tried, and combined with their difference in size means that predicting the appearance of their puppies is a real lottery. Don’t assume for example that they will definitely be much smaller than their Bull terrier parent – they could very well surprise you! Bull terriers unique and lovable, but they are not easy dogs. 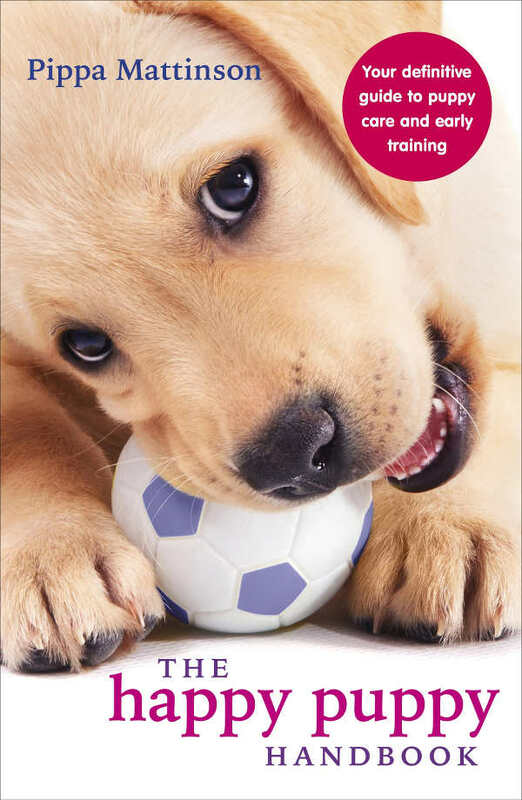 Mischievous, energetic, and like Chihuahuas they are prone to stubborn disinterest in training. Bull terriers rarely get on well with other pets, and we don’t recommend getting a Bull terrier if you already have other dogs or cats living with you. The worst case outcome of a Chihuahua x Bull terrier mating is a pup which turns out bigger than you expected, with inexhaustible reserves of energy, little interest in discipline, and who terrorizes other pets. Always insist on meeting both parents and ask yourself if you’d get fed up or struggle with either. We have covered a LOT of health topics in this article now! So you already have part of the picture from the general information section, but also bear in mind that Bull terriers are prone to dry eye (like the Yorkie) and congenital deafness if they have a large proportion of white markings in their coat. Your Bullhuahua breeder should be happy to discuss the family history and hereditary risk of either of these problems with you. Usually a puppy’s full grown size is somewhere in between the sizes of their parents. Statistically it’s most likely to be somewhere in the middle, but there will always be outliers who fall at the largest and smallest ends of the scale. 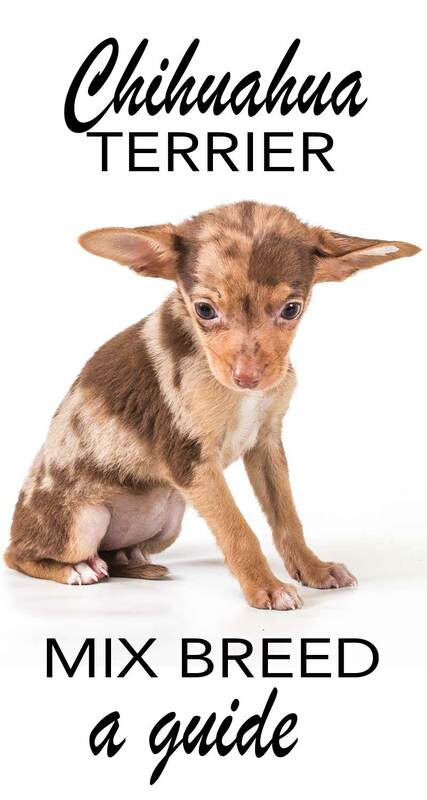 The smallest Chihuahua terrier mix is the teeny Chihuahua Yorkshire terrier mix, which could be a scant 4lb. The biggest is the Chihuahua Bull Terrier, which could be ten times that. As a rule of thumb, smaller dog breeds tend to live longer than their medium- and large-sized cousins. It’s not uncommon for terriers and Chihuahuas to make it well into their teens, and a healthy Chihuahua cross terrier could easily hope to reach their thirteenth birthday. Most of the time, longevity is all in the genes, so ask your breeder how much information they have about the lifespan of other dogs in your Chihuahua terrier’s family tree. Bear in mind that inheriting a glut of health problems from parents who haven’t been fully screened before breeding will also take their toll, and could ultimately knock precious years off your pet’s life. Crossbreed puppies from pedigree parents are often known as “designer dogs”, and they’ve been a huge source of controversy over the last couple of decades. Many owners of purebred dogs object to muddying their pedigree by allowing them to breed with other breeds. Puppy farmers have been quick to fill the gap and meet the demand for designer dogs, and this means most of the Chihuahua terrier puppies advertized online have been born in puppy farms. That isn’t to say that responsible Chihuahua terrier breeders don’t exist, you just need to be more vigilant about finding one. Our guide to recognizing puppy farms will help you pick the loving breeders from the profit-seekers. Like all breeds of dogs, Chihuahua terrier puppies should stay with their mom and their siblings until they’re at least 8 weeks old. Many toy breeds need to be 12 weeks old before going to their new home. A very small Chorkie, for example, might need to stay with their mom a little longer still. Remember that a Chihuahua terrier puppy is incredibly fragile. You’ll need to balance the importance of socializing them so they learn good behavior with other people and dogs, against protecting them from harm because they’re so little. Is a Chihuahua terrier mix right for my family? 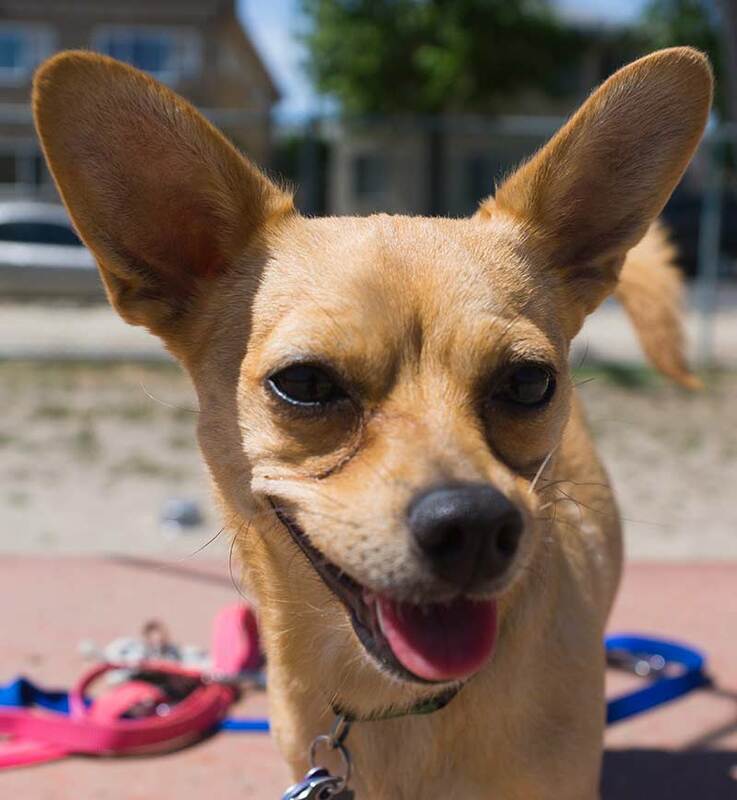 So there’s a lot to think about if you’re considering choosing a Chihuahua cross terrier for your family pet! Chihuahuas aren’t generally suitable pets for families with young children, because their tiny size makes them fragile and their tendency to bond very closely with one person makes them impatient of rivals. Some terriers are better with children, but you won’t know whether they passed that on to their Chihuahua-cross puppies until it’s too late. Whichever Chihuahua terrier mix you bring home, you’ll need lots of time for training them and keeping them occupied, even if they’re not up to a long walk every day. Finally a Chihuahua cross terrier could inherit any of the problems of its parents, so taking time to understand which these are and whether your are ready to deal with them is a big part of finding the right dog for you. If you decide to go ahead, good luck with your search and take your time to ensure your puppy’s parents are healthy. 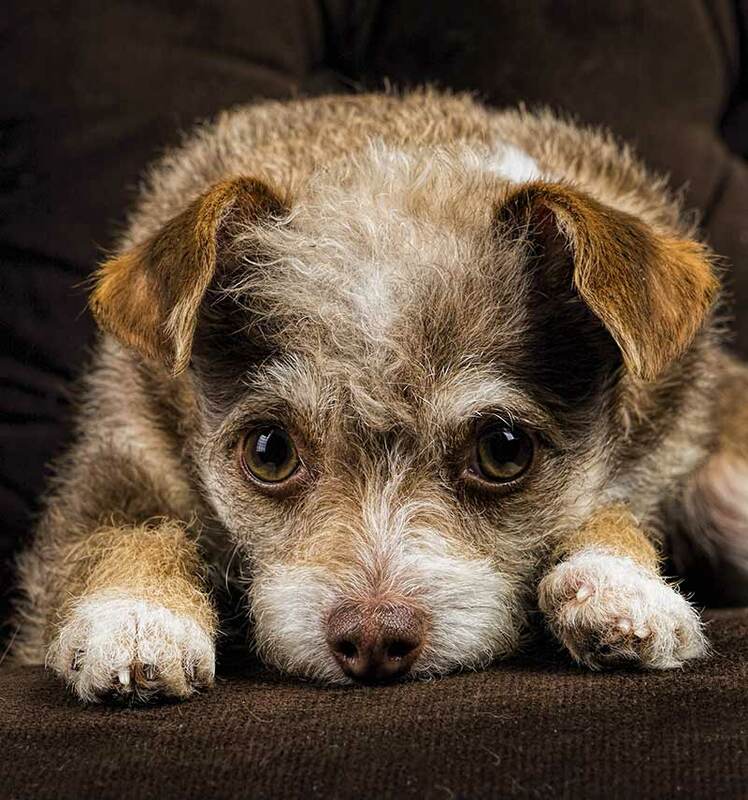 Do you have a Chihuahau terrier mix ruling the roost at home? What is their terrier ancestry? Do you think they’re more Chihuahua or more terrier? Tell us about your experience of these fascinating little dogs in the comments section below! My husband and I own a male wired haired terrier, we were told he is chiweenie, pom mix. he looks very much like a wired fox terrier. We are living with a couple that own a female chihuahua and now we are proud grand parents of 3 little puppies born on the 19th of January. 2 male, 1 female. I think I will be keeping the female. Junior (the dad – our dog), is a delightful little guy – definitely a mans dog – goes everywhere with my husband. I’m hoping for this little girl to be my loving little companion. Excited but not looking forward to the training period. It’s a short term effort with long term rewards if done in the correct manner. Praying for patience and strength! I can’t come up with her name yet – calling her Baby Girl – but….. any suggestions? I had what I think was a Chihuahua/Cairn Terrier mix but not sure. Her name was Mia and she weighed 7 lbs. I got her from a shelter; she was given up by a young couple when they separated and supposedly she was bought at a puppy mill and was listed as a Chiweenie (but there’s no way!). We got her at 9 months and she was a bit difficult to potty train but we got through it. She loved her cage and got along fabulously with our Golden Retriever. They were buddies. Unfortunately, she darted into the street and someone hit her; she died instantly. I am devastated because she truly was the BEST dog I’ve ever had. She had a HUGE personality for such a tiny dog and she was a loving snuggler who was always there when you needed her. She was killed this week and I am inconsolable. I want another one but I have no idea where to begin. Please only check shelters! I got mine at one and she is amazing. I’m sorry for your loss. I almost had a dog hit by a car when she dashed out when moving. Now I’m insanely careful as I’m sure you will be if you get another. These tiny dogs take extra care but they’re worth it! Do you have a picture of. The dog. I just got one he isawsume. I think heis terrier but looks like chwa too. He is so smart he is 11 weeks old. and was 7. Lbs. I have a, what i am discovering a Ratcha…she is intelligent, housebroke at 3 months, and at first frightened by children. But my job and life evolve around children. Now she loves them. Some people she does not like, no matter how hard they try to warm up to her. But once she likes you, she really likes you. She has anxieties over several things. Before a long car ride I have to give her melatonin. Loud noise petrifies her. She loves to cuddle up in the warm blankets as soon as they come out of the dryer. She burrows underneath her blankets…the warmer the better. She chases the cats, but doesnt hurt them. She barks alot, but a bark collar helps. She chokes easy, so you have to put on a vest type collar when going for walks. She follows me to every room…no matter. If I put on a space heater, shes the first one there. The cats are no match with her in catching mice. She has it within seconds of its being in the open. Shes fast! She loves squeaky toys, but wants you to throw it, and fight her for it. Then she shakes it to death! Shes extremely loyal to me. Her name is Gidget, and I love this little dog with all my heart. What you are describing is my RatCha to a ‘T’. I swore as I was reading your post I thought I was reading the bio for my babygirl. Such an amazing dog. Only thing for me is I got her as a second hand dog on her way to a shelter, so potty training was never done, nor was she trained at all. So getting her when she was about a year and a half meant that she is pretty much puppy pad trained for life, and sometimes rugs and beds. I know she knows no better, and I have to be vigilant about taking her out. But is she is so shy she wont go potty on a leash. Mine barks a lot as well, but only at things that move outside and sounds that are not in visual range XD. But I will say I wont train her against doing it as it alerts me to everyones presence and that is very useful in a home intruder situation. Anyways. I couldn’t have asked for a kinder, more loving dog, even if she is a littler nervous most of the time. i have a male dog which i was told is a chihuahua, but i knew he must be a mix, so i did a dna test, according to that, one parent is full chi, the other is a rat terrier / parson russell terrier mix. his face and feet look more chi but he is heavy and to big for a pure chi which is why i looked into it. We also have a dog we found to be a mix , it turns out he is parsons Jack Russel / chihuahua mix and has turned out the biggest size he could have , we saw both parents and had pick if the litter so we now know we were duped and he was probably brought over with Irish travellers . As much as we love him , we are both pensioners and he is a lot more than we can handle and that’s why we chose a small breed , he was tiny when we had him at ten weeks and we have now discovered he must have been only five weeks old . Everyone should be aware if this when buying a puppy . Hi there, my little puppy dog is called pip. He is definitely a mix of the two dog breeds. He can be very snappy at strangers particularly men but he is a rescue dog so im thinking the fear comes from his past life. His akin is very itchy atm. He has has itchy skin before with no fleas. I was thinking he has allergies? I have to say, the many references to “ask your breeder” was irrelevant to me, as a longtime adopter of rescue dogs. For many years I had rescued purebred wire fox terriers. When my last terrier departed, I decided to downsize and rescued two dogs, from different shelters, both described as “wire fox terrier/chihuahua mixes.” One was rescued from a hoarder, the other from Death Row at the last minute. I certainly recognize the chihuahua in them, but other than muzzle shape, clownishness and scrappiness, I find it hard to figure out where the terrier kicks in and the chihuahua recedes. Bottom line: affectionate, one-person dogs, delusions of brutish might. Chuckle…my Jachi even attacks dogs on TV…. Take it to the Er! Don’t take chances! I wish I knew what my precious little girl is. She looks like a chihuahua terrier mix, but I have no way of checking. I am her third mom and she is so smart, has the knee slip thing and probably the cough thing. She follows me around all the time and loves to chase squirrels. She weighs 7 lbs, has floppy ears, light brown legs and black and brown hair on her back. She’s two years old has a brown black and white muzzle with large brown eyes and cutest face. Also she is short haired. I don’t know how to put a picture here or I would. I was sure that I had some sort of Yorkie/Cairn Terrier mix. Just on a whim and when there was a sale, I ordered a DNA kit through wisdom panel. Imagine my surprise when it came back that Piper Is 62.5% Chihuahua and 37.5% something in the sporting group. That explains the loud bark. I believe she is long-haired Chihuahua because of her thick coat. I rescued her after she was found under a dumpster. She will warm up to another animal but it takes some time. I have just taken on an 11 year old foxy/chihuahua cross and her same age poodle/Maltese boy. The foxy cross only weighs about 3.5 kg. She is a delightful dog. Well house trained and a good inquisitive walker. After two weeks she is very protective of us. She seems fine with other adults and children. Though we don’t have any. She loves chasing balls and we spend time doing that with her as otherwise she has too much energy. She is very very smart. She likes to follow you everywhere and lies next to you once she has been exercised. She was an escape artist but I have had the door open inadvertently and she seemed to have been happy to stay. I adore both these dogs already. We have a rat terrier chi mix. He is the most well behaved dog I have ever owned. He is very smart. He loves people and cats but is definitely the most attached to my husband. He loves toys, car rides and walks. He goes completely crazy when he sees a motorcycle. He has been a joy to own. My rescue is Iggyboo, a cairn terrier/Chihuahua mix, weighing in at 10 lbs and only 8 inches tall, now at almost 3 yrs. He is very protective and loyal, and pretty much a lap dog. He loves to play with his toys, and is highly intelligent, often preferring his interactive toys over stuffed ones. I find myself constantly teaching him new words or playing new games. He hates children and often adults, but can warm up to people given a few minutes and a few kind words (treats help this process). He also can be a challenge to walk, being aggressive to other dogs, but responds very well to a clicker and a treat for distraction. So, generally I have had no issues with him on walks, but am always careful. He loves bedtime, and burrows under the covers, sleeping a full 8 hours straight, he gets upset if I roll over and wake him up and will growl at me, lol. These are wonderful companion dogs, but from my personal experience I would say these dogs may not be the best around with children. 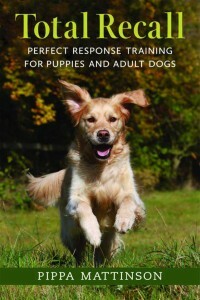 But I’m guessing if you brought one home as a puppy it would be an easier transition that getting a rescue like I did. They do like to be stimulated and enjoy your company, following you everywhere around the house (I do mean everywhere). If you are looking for a loyal and fun companion, you certainly can’t bet a terrier/Chihuahua mix, for sure. Your Iggypoo sounds very similar to my Chi mix personalty wise. We adopted him this February and he’s a quick learner generally. Very loyal and friendly once he gets to know people (and other dogs). I have a 10 year old rat terrier-chihuahua mix who is 17 pounds. He is the sweetest dog I have ever met. He loves people and follows me everywhere around the house. He sleeps most of the day but he needs a daily dose of playtime. The only negative is that he can get aggressive toward other dogs (especially big ones!). But other than that, he is such a sweet and loving companion. My rat terrier- mix is about 8. He also barks at bigger dogs and strangers! It is really common. They are Chi’s at heart sometimes and they are bred as lap/companion dogs so they are naturally very protective of their owners. Especially to Larger dogs and humans. What I have found with my baby girl is that she has what I call “big dog syndrome.’ As in she thinks she is much bigger than she is. She’ll get up in another dogs face in a heartbeat if it meant telling them to stay away from me. Once I pet that dog and talk to her when I do it she calms down and after 5-10 minutes she is best friends with them. Humans too. lol. It is just their way of being there for you too. Even if it is unwanted. Best thing is to roll with it and show them its alright and eventually they learn. they are so smart. We own a 10 lb chi/terrier mix who has some serious itchy under belly hair loss going on. She has tested negative for allergies and has been on hydrolyzed food now for a month with no changes to her hair loss. She also takes appoquel daily. Along with this, she will randomly pee in the house. She seems like a very bright dog, so this trait is very frustrating. Not sure what the next step will be but would appreciate hearing from others in this situation. I have a chiuhuahua border terrier cross. He’s just about 16 months old. It’s just me and my husband and he loves us equally. He hates kids, always barks and growls at them. He surprisingly likes most other people, unless my husband isn’t around, he gets protective over me if men come around me. He likes all dogs, big and small. He jumps at them and is very playful. He’s also very snugly and sweet. I have noticed the tranchea problem with him though and also his eyes water all the time. He’s fixed and still only weighs about 5 lbs. he’s been hard to potty train- he wouldn’t go out into the snow until this year. I usually have to carry him on walks in cold and wet weather because he’s always shivering. he’s inquisitive, likes to wander.. we have to keep a close eye on him at the dog parks because he can wiggle his way under the fence to run after the dogs! Definitely the best dog I ever had, he’s got the most unique personality, he’s not ‘yappy’ for the most part.. just at night when I’m trying to sleep lol. Can you send a picture of him. I just got a puppy and the vet said she is a mix of a chihuahua and a shitzu but I thought she looked like a chihuahua mixed with a border terrier.